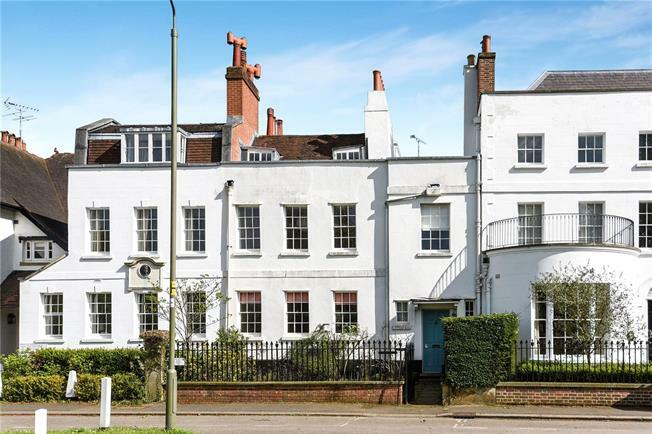 4 Bedroom Terraced House For Sale in Barnet for Asking Price £1,500,000. A Grade II listed Georgian property in a gorgeous position facing Hadley Green a local nature reserve with its delightful duck pond. High Barnet Tube is just over half a mile away where you also have the lovely shops including ‘The Spires’ shopping centre, restaurants and café bars and the M25 just a short drive away. This very bright and spacious house is arranged over four floors and comprises a fabulous reception hallway leading to a guest cloakroom, two reception rooms, kitchen/diner with stairs leading down to a basement room. To the first floor, three bedrooms and family bathroom, the second floor a further bedroom and bathroom. The house retains many of its original character features including the shutters to the window in the front reception room. Outside there is a mature and well stocked rear garden with beautiful views from the upstairs of the house.